Aristotle's teachings were spread far and wide, throughout Greece, the Middle East and Egypt, and even as far away as Persia and India, by his most illustrious and influential pupil: Alexander the Great, who conquered most of the known world. But it wasn't simply Alexander's own personal vainglory and love of power and conquest that spurred him on; he also had a burning desire to bring the benefits of Greek science, medicine and learning to those peoples and lands he conquered. 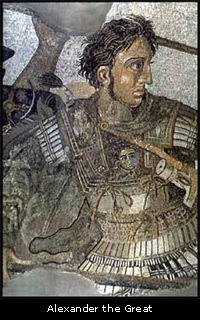 Alexander founded the city of Alexandria, in present day Egypt, which became a great center of Greek science, medicine and learning. In keeping with the philosophy of his teacher, Aristotle, the tone of the scientific and medical research conducted there was very open-minded and empirical; everything was open to questioning and investigation. 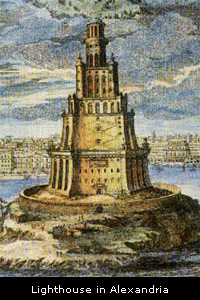 The library of Alexandria was the biggest and most famous in the ancient world. The school of medicine that arose in Alexandria was called the Empirical School. Founded in 330 B.C.E., the school attracted the best physicians and medical scholars from Greece and became instrumental in the transmission of Greek Medicine to Rome after the Roman conquest of Egypt. Through Alexander's conquests, all the Arab, Turkish and Persian peoples of the Middle East were exposed to the teachings of Greek Medicine. This probably predisposed them to take over Greek Medicine and Islamicize it as Unani Medicine later on, after the decline and fall of the Roman Empire. In addition, Greek Medicine probably absorbed a lot of elements from the folk medicines of the lands conquered, as well as from Persian and Zoroastrian medicine.